Mom’s Guide To Travel was one of nearly 50 influential family travel sites that gathered this past weekend (Sept. 20-22, 2013) from around the United States and Canada at the TMS Family Travel Conference in Niagara Falls, NY. 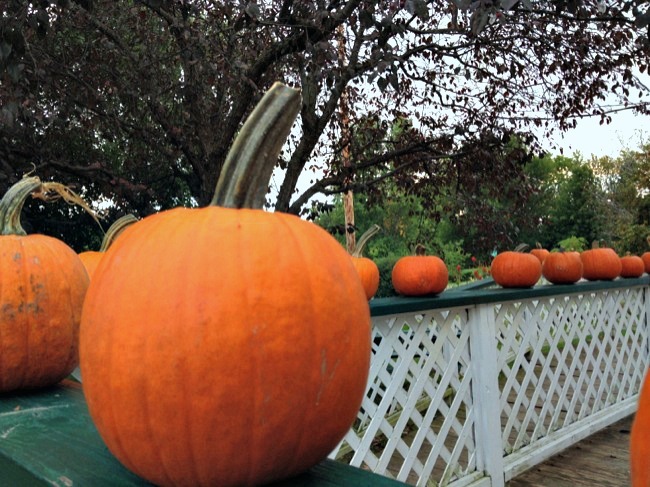 I was excited to learn about the area’s offerings for family travel, Niagara Falls and the rest of the region had more to offer than I thought. 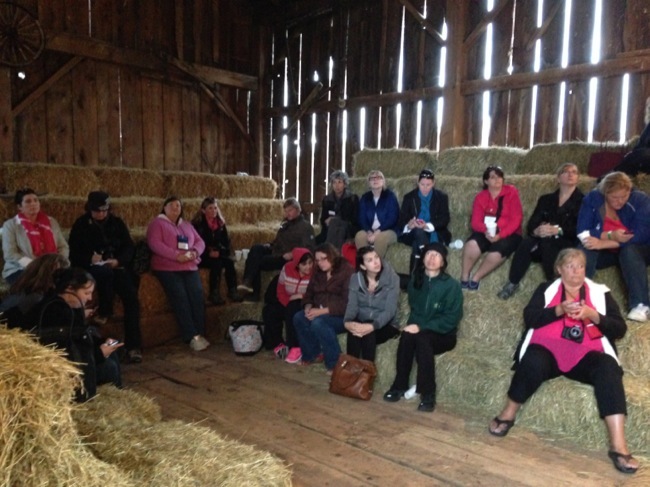 The conference was hosted by the Niagara Convention Corporation and organized by Travel Media Showcase, Family Travel Forum, and Taking the Kids. The conference drew media along with representatives of destinations and tourism organizations that value and market to family travelers. 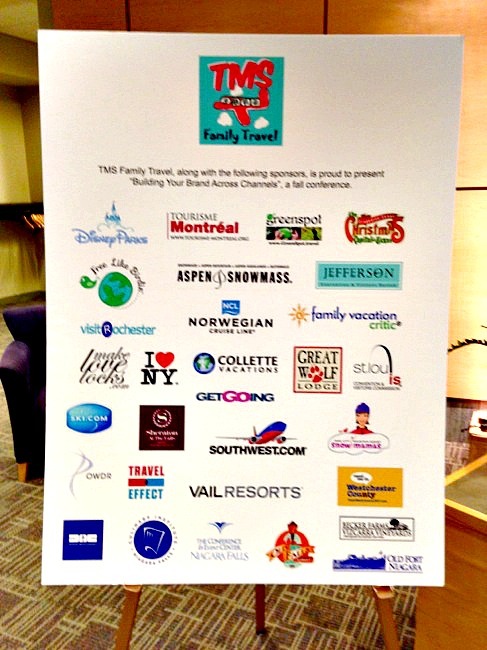 This was the third conference event for TMS Family Travel, which also hosts an annual Family Travel Summit bringing together media and travel providers to explore ideas for better family travel experiences. As a writer for 10Best USA Today and a contributor to TravelChannel.com, my goal with the Mom’s Guide To Travel site is to provide you, my awesome readers, with strategies that help reduce the stress of family travel while also promoting destinations for you to explore together with your families. This site and the other digital travel, lifestyle and parenting communities present at the conference are typical of the information resources that vacation planners turn to when researching and booking their travel; most are successful niche sites or social media channels that cater to a limited number of highly engaged users by offering exclusive content or products. On the eve of the conference, New York State Governor Andrew Cuomo discussed initiatives to make tourism a top economic priority by developing more attractions to appeal to families and increase their length of stay. I was excited to be in Niagara Falls, a classic tourism icon that is undergoing a major revitalization to position itself for today’s sophisticated travelers. Despite a citywide blackout which forced one workshop to be held by the glow of cellphones, more than 21 million social media impressions were generated by conference attendees who toured the Cave of the Winds, rode the Maid of the Mist, and survived a Whirlpool Jet boat ride in addition to visiting wineries, Erie Canal locks, street fairs and local farms. 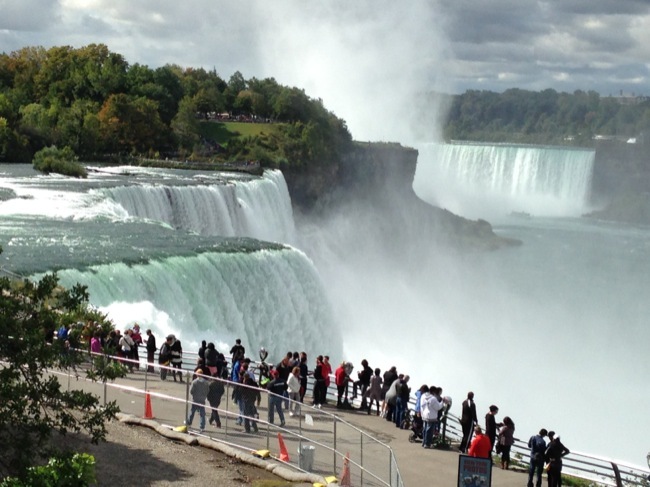 Millions of tourists visit the Falls each year. The big takeaway for myself and other writers and speakers, who represented major companies like Trip Advisor, AOL, USA Today and the Los Angeles Times, was how important learning vacations have become to families. “A passport is the new diploma,” noted Keith Bellows of National Geographic Traveler, and new research from the U.S. Travel Association suggests that those who took educational trips as kids are more likely to graduate from college and earn more as adults. By the time this group of writers is done, you’ll be hearing the words “family travel Niagara Falls” more frequently. Did you know that the family travel industry is now the leading segment of all leisure travel in the United States, with more than 100 million trips taken each year with children under 18? To see NBC’s WGRZ2 news coverage of myself and other writers in Niagara, go to: http://www.wgrz.com/news/local/story.aspx?storyid=226725. Stay tuned for more in depth coverage on the blog of the range of activities I explored in Niagara Falls, relevant to family travel. Family Travel Consulting is the collaboration of Eileen Ogintz of Taking the Kids.com, the nationally syndicated travel column with millions of readers; and Kyle McCarthy of Family Travel Forum (myfamilytravels.com), the vacation planning resource that’s The Wall Street Journal’s “Best for Grandparents” and a Forbes “Favorite.” FTC provides strategy, marketing, digital and social know-how to travel and family products, and hosts the TMSfamily conference for media reaching the family vacation audience.